Yes, we’re looking at you Wireless Festival. It was recently announced that world-renowned producer DJ Khaled, booked to headline the 2018 festival was unable to perform. The organisers behind Wireless released a statement on the matter. They admitted to knowing about the cancellation months before the event happened, without telling ticket holders. Festival bookings can change at short notice. And when they do - communication is paramount. Honesty is key. Customer service is fundamental to any social media strategy. From the start of the campaign to the final days before the festival, your social media team must be well equipped to answer customer concerns. When customers go ignored, they shout, often in a public forum such as Facebook or Twitter. Without sincere and considered communications - your brand’s reputation is being put at risk. Setting up a Messenger bot within Facebook is a great way to respond to customer concerns in real time. If you can create an AI with personality, and one that can efficiently answer customer questions, you can manage most situations before they escalate..
Alternatively, set up a simple “we will respond soon” autoresponder and make sure your team answers any queries as quickly and efficiently as possible. We warn you though, you’ll get multiple messages from people trying to blag free tickets. There are plenty of opportunities to turn your fans into ambassadors. Get last year’s ticket holders to share their content from the festival in the form of a competition. 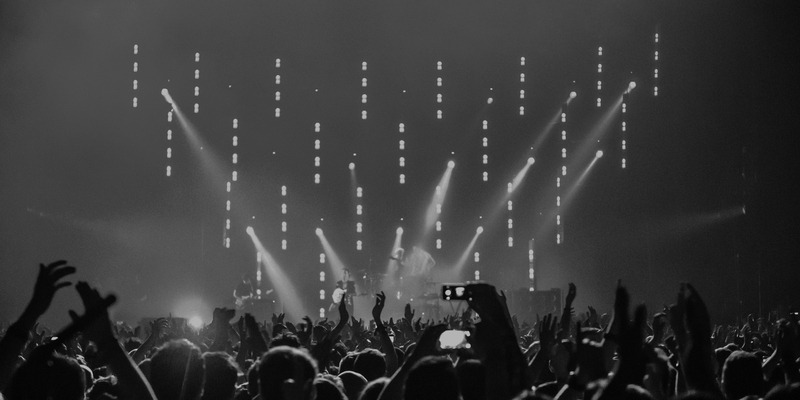 Build engagement with those who have been to your event and turn them into ticket holders for your next one. Invite your fans to use a hashtag when sharing memories, and get them to tag their friends in posts. This will raise awareness of your festival with like-minded people. Competitions are worth running to boost engagement. 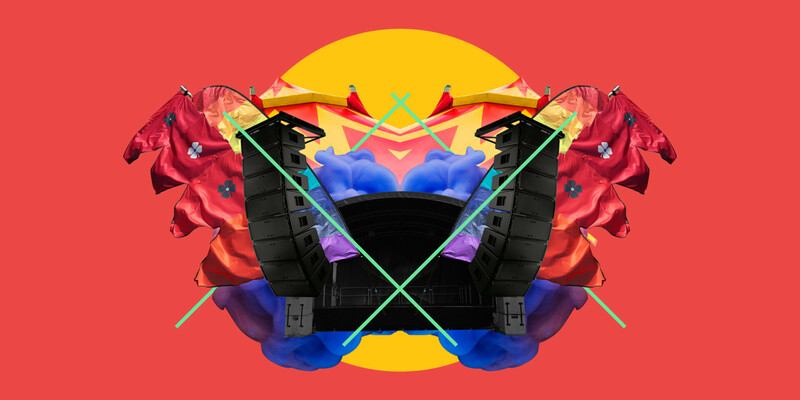 Build page likes and engagements with an incentive of free festival tickets. Use a mechanic that audiences will engage with easily and you’ll likely see great returns. Re-target content to engaged users and generate warmer leads. Social media is a great listening tool, so encourage it to be the platform where your audience can shout about you, share content before, during, and after the festival. Your line up announcements should be the stand-out creative moments in your campaign’s life cycle. Glastonbury is the only festival that can get away with revealing a headline artist written on a poster, stuck to a tree in the middle of an empty field. We all know who Michael and Emily Eavis are, so when they send a simple tweet announcing Kanye West as the headliner, we better believe it. For other festivals, announcing their lineup presents a chance to get creative. We’ve seen a trend emerging in the festival space. Classic admats are being replaced with striking video announcements. Parklife and Primavera Sound are great examples. You should consider a video for your lineup announcement and take the user on a visual journey. It’s important to communicate a narrative that anchors your brand story, and showcases what makes your festival different from others. Choose the platform where your audiences spend most of their time. This is important in social media as a whole, but especially worthwhile for a festival where the marketplace is so saturated. Use intuition and be fluid throughout your campaign. Test, test, test your paid social audiences and regularly tweak and optimise absolutely everything. There’s little time to run lengthy campaigns and see what happens, so being reactive is a must. 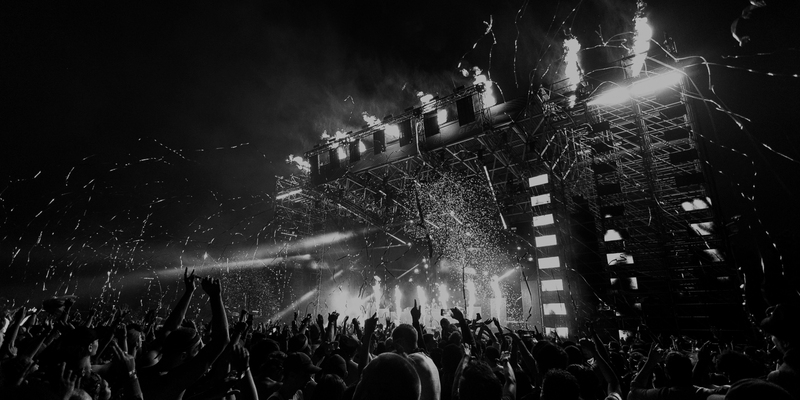 Want to know more about how to market your music festival with social media? Contact Bozboz.